Cancer is that dreaded six-letter word that unfortunately most of us have experienced- whether through our own personal battle or through a family member or friend. This campaign is to educate people of the facts, prevention and advances in treatment. After heart disease, cancer is the second leading cause of death in the United States. Over a lifetime about 1 in 2 men and 1 in 3 women in the U.S. will develop cancer. While that sounds like a lot, cancer rates and death have actually been on the decline since the early 90’s. In even better news, the top cancer scientists in the country are feeling optimistic about the ongoing battle with cancer, and DNA is the reason. When given the DNA of two different patients, typically the samples are going to look more than 99.99 percent the same. It is in that tiny difference that the secret of what is causing cancer is hidden. What is needed then is a drug that can correct the problems caused by DNA damage. Now, thanks to giant leaps in the science of DNA sequencing, there is hope. Scientists now have the technology to be able to see deep enough into the cells and that means they can create new drugs to target what they’re seeing. While this news leaves us feeling hopeful and optimistic, we should always remember that when it comes to cancer, early detection and prevention is the best treatment. One-third of cancers detected are related to overweight or obesity, physical inactivity and poor diet and nutrition. Be sure you are leading an active lifestyle and maintain and nutritious diet. Also, people who use tobacco, drink heavily and have prolonged and unprotected exposure to sunlight are all at increased risk for certain cancers. Not only are there new advancements in the treatment of cancer, there are new and more accurate screening methods that allow for earlier detection. This will allow doctors to treat patients before the disease progresses, and the earlier the cancer is found, the better the prognosis. In honor of National Cancer Awareness Month, implement a better diet and physical activity into your daily routine to lessen your risk of developing the disease and be sure to keep up with all routine screenings. In the meantime, happy –and hopeful- Cancer Awareness Month! Most people are or have been plagued by stress in their lives. Anything from work to family issues can cause stress on a person. If stress has you feeling anxious, tense and worried then you should consider trying meditation. This is a simple and fast way to help you feel more relaxed, even spending a few minutes a day in meditation can restore your calmness. Anyone can practice meditation. It requires no special equipment and you can do it virtually anywhere you feel comfortable. Meditation has been practiced for thousands of years. It was originally meant to help deepen understanding of the sacred and mystical forces of life. Nowadays, meditation is typically just used for relaxation and stress reduction. It is considered a mind-body complementary medicine, producing a deep state of relaxation and a tranquil mind. Meditation will allow you to clear away the information overload that’s built up in your mind everyday contributing to your stress. You can practice everyday by focusing on steady breathing or central thoughts. Research suggests that there are some physical health benefits as well. 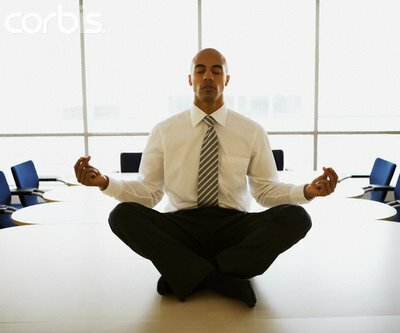 Meditation may help such conditions as high blood pressure, depression, anxiety disorders, asthma and even allergies! Meditation is not a replacement for traditional medical treatment, but may be a useful addition to your other treatments. Try out any of these techniques that you feel works best for you and what you enjoy doing. You can adapt your meditation to meet your needs at the moment. Remember there is no right or wrong way to enjoy all of the wonderful mind and body health benefits of meditation!